In spite of sharp reduction in Vietnam-Singapore bilateral trade value in the first half of 2016, Singapore is still the largest trade partner of Vietnam in ASEAN. 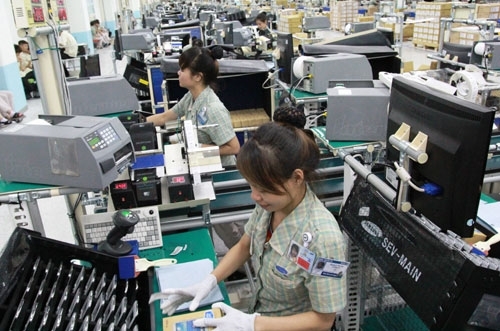 Statistics by the General Department of Vietnam Customs showed that in the first six months of the year, Vietnam’s commodity export turnover to Singapore was estimated to reach USD1.08 billon, a year-on-year decrease of 33.98%, while imports from the market posted USD2.57 billion, down 27.44%. Major commodities exported to Singapore were telephone, computer, telecom products and components, machinery and devices; petrol and oil and plastic material. Of these, computer, telecom products and components earned the biggest export turnover at USD181.33, making up 16.85% of the country’s total exports to Singapore. It was followed by glass and its products at USD149.51 million (13.89%), machinery and devices at USD147.38 million (13.69%) and telephones at USD139.77 million (12.98%). Singapore is emerging as one of Vietnam’s leading investors with sharp growth in both number of projects and capital. By the end of June 2016, the country is the third biggest investor in Vietnam after the Republic of Korea and Japan. In the Jan-June period, Singapore saw newly-registered capital of USD1.13 billion in 119 projects with the main concentration on the field of waste processing and management industry and real estate. Average capital of each Singaporean project in Vietnam is USD23 million, USD13.7 million higher than that of other foreign investors./.